The Chief of Army Staff, Lt. Gen. Tukur Buratai, described the incident as tragic, noting that the soldiers sacrificed their lives in defense of the nation’s territorial integrity. He said that the army lost some troops and equipment due to an upsurge of insurgents’ activities in recent months. He, however, said that the setback would not deter the troops from their commitment to defeating the insurgents. 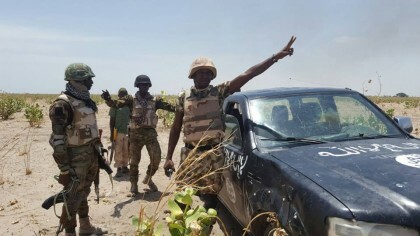 “The military will collaborate with sister security organizations in the counter-insurgency operation,” he said and called on the troops to be disciplined and not relent in routing remnants of the insurgents. According to him, the military authorities will deploy additional personnel and equipment to the theatre of operation, to facilitate successful implementation of the counterinsurgency campaign. Buratai also called on the people to shun fake news and support the military to enable it to win the war against the Boko Haram terrorists.